In this installment, Hot Fireman Dips and Safety Tips is furthering its campaign of “If You See Something, Say Something” by focusing on the growing concern of the radicalization of America’s youth. At 10:58 a.m. on the morning of December 3, 2015, virtually none of the 65,000 residents of Redlands, California could have predicted that 2 persons living among them would unleash the largest extremist inspired terror attack since 9/11. The minutes that followed forever changed that impression. 14 people were killed and 22 were seriously injured in this terrorist attack in San Bernardino, California which consisted of a mass shooting and an attempted bombing. This horrific event was committed by married couple Syed Farook and Tashfeen Malik, who had a 6 month old daughter. Farook was an American-born U.S. citizen who worked as a County health department employee. It is estimated that since 9/11, more than 4,000 Westerners, including 200 to 300 Americans, have become radicalized and engaged in violent extremism. Some are now returning to their countries of origin, including the United States, with devastating consequences. Others, like the two in San Bernardino and Redlands, have become inspired or directed to violence in their homeland. In the United States alone, more than 56 terrorism cases have been filed against aspiring radicals. In recent months, terrorism related arrests connected the cities of Sacramento, Houston and Milwaukee. For the last several years, U.S. and European foreign policy has been characterized by consensus opinions that radicalization owes much to the appearance of a heavy-handed (and heavily armed) western presence in the Muslim world. Western Muslims are said to radicalize out of grievance and the desire for “excitement, adventure, camaraderie and the chance to do something significant.” As such, the United States and its European allies have dramatically reduced the presence of service members in the Middle East, and they have made significant overtures to various entities and dramatically reduced the number of detainees at Guantanamo Bay. Yet, the rate of radicalization, (persons radicalizing to point of violence or becoming a foreign fighter) greatly increased in 2014 and 2015. Consider for a moment, there are more than 3.5 million Muslims in North America and more than 44 million Muslims in Europe. The various radical Muslim groups have employed very aggressive recruitment schemes. Yet, approximately 200 to 300 Americans and Canadians and between 4,000 and 5,000 Europeans have actually radicalized to the point of extremism. In other words, the extremist groups have a recruitment success rate of 1 in 11,666 for North America and 1 in 11,000 for Europe. While recruitment success rates on the regions are curiously similar, the staggering recruitment failure rate demonstrates there must be something more than “excitement, adventure, camaraderie and the chance to do something significant,” that separates those that become radicalized from those that do not. Nearly every Muslim youth living in the West can be described within the above characterization, but only a fraction radicalize to the point of violence. This discrepancy results in two negative consequences; first vast numbers of peaceful Muslims are wrongly associated with violence and two, failing to identify as few as two radicals, as we saw in San Bernardino, may have devastating consequences. 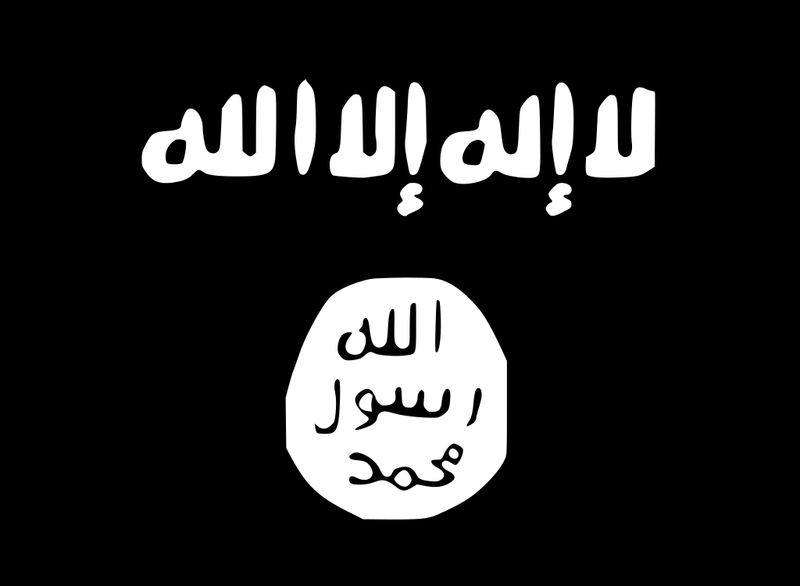 It has been argued that isolation may affect a person’s susceptibility to radicalization. The concept of vulnerability to radicalization stemming from being an “in-betweener” seems similar to that of isolation. This vulnerability, regardless of cause, might best be described a weakness or absence of the “natural firewall of the brain” that prevents most of us from acting on a really bad idea. The university is like a place of isolation for a period of four, five, or six years and is full of youths (full of zeal, vigor, and anti-government sentiments). However, you should be careful because it is also full of spies. In the first of its kind report, ISIS in AMERICA, FROM RETWEETS TO RAQQA, efforts employed by ISIS to create an online twitter swarm are examined. The theory is this; take a limited number of online twitter users and have them assume numerous online aliases, (as many as 500 each) then cast an extremely wide net over the millions of online Americans. If the net is wide enough, say 10 million of America’s 300 million; you hope to really connect with 1 in 100,000. Then, when the rare lonely, disconnected and vulnerable individual is identified; ISIS methodically grooms the relationship. Similarly, the power of the Internet was underscored in the thesis, Risky Shift Toward Online Activism: Do Hacktivists Pose a Threat to the Homeland? Heretofore, disconnected activists scattered throughout the world, are empowered by the Internet through social media. In the case of extremists it may be properly termed, the anti-social network. One key way ISIS has employed to cast an incredibly wide net in hopes of snagging a small but deadly few willing to perpetrate terror is called gamification. For instance, in the last year ISIS or their sympathizers’ morphed scenes from the popular video game Grand Theft Auto into propaganda. The video which has since been removed from the Internet, used poorly translated lines such as, “What you do in video games, we do in real life, on the battlefield.” Today, most social networking service providers such as YouTube, Facebook and Twitter will typically remove any content reliably believed to be posted by an extremist group. 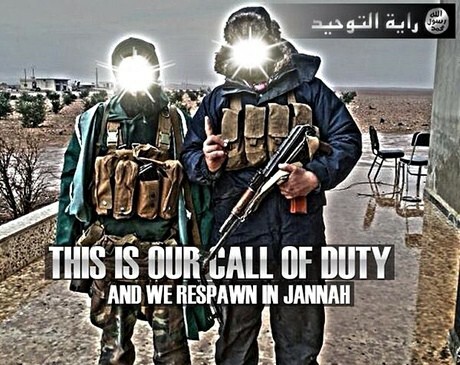 However, the Shia Labouf “motivational video” (the origin of which is disputed), is pretty demonstrative of the efforts employed by these groups to recruit and radicalize. Perhaps the real takeaway from all this is the following; we really don’t have a good grasp on why one person exposed to this nonsense becomes radicalized to the point of violence, but most others do not. We do know however, that the vast majority of Muslim’s are our friends and neighbors and in no way associated with extremists. Also, keep in mind that one of the main purposes of terrorism is to cause fear and dread in the potential victims or target countries. Remember that the real threat of terrorism is quite low — lower than heart disease, car accidents, Alzheimers, diabetes, influenza, pneumonia, suicide, hypertension, Parkinson’s diseases and many, many more. You are 35,000 times more likely to die from heart disease and 33,000 times more likely to die from cancer, and 23,000 more times likely to die from obesity, than you are to die from a terrorist attack. Thus, keep all of this in perspective, the risk of radicalization and the risk of actually being a victim of terrorist attack is low, but nevertheless, if you truly see something suspicious, say something.